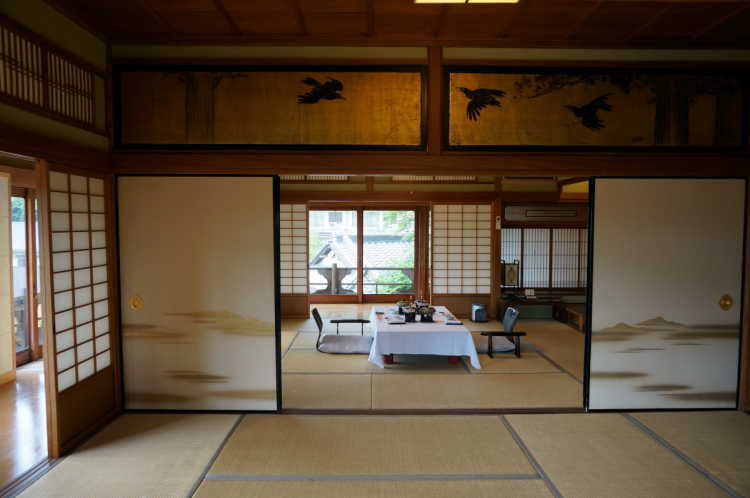 Novelist Mori Ogai's Favorite Room "Enjyukaku"
The room named "Enjyukaku" is one of the rooms in the beautiful Japanese garden of this hotel. 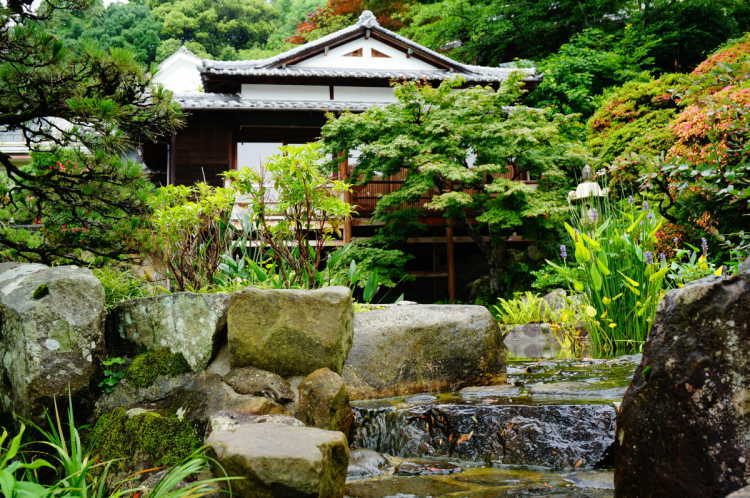 Literary figure Mori Ogai loved to stay here. Its lobby is modern and like a resort mood. 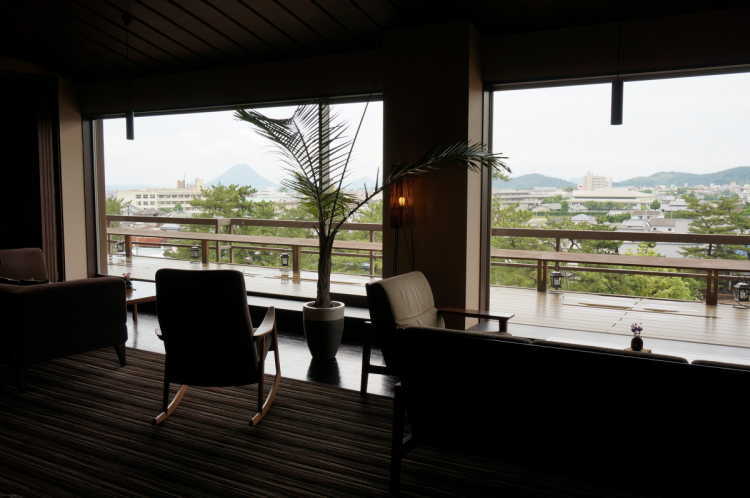 When you take a sofa, you can see Sanuki Fuji mountains while enjoying a welcome drink. Kotohira-kadan hotel has a separated room 'Enju-kaku' loved by Mori Ogai and you can have lunch there. It'll make you feel happiness to eat such a elegant lunch at a roomy and historical building. High grade Sanuki beef grilled on a ceramic plate. 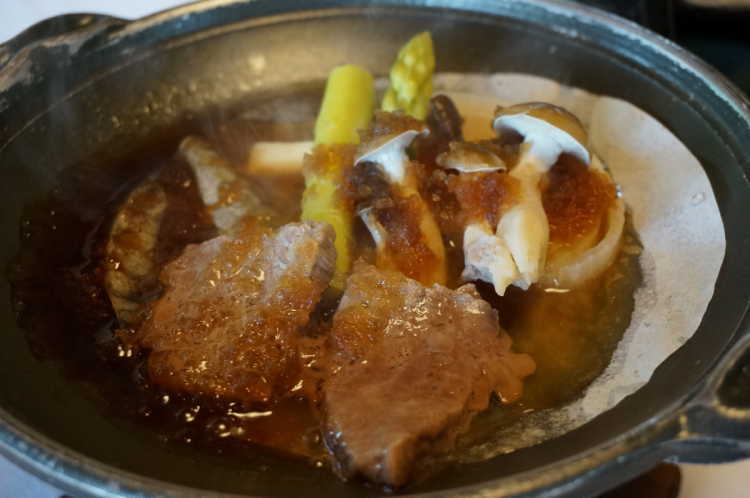 It's soft meat is excellent with vegetables and sauce. You can enjoy Setouchi foodstuffs as a lunch kaiseki (a Japanese style of course) such as tai-shabu (slightly boiled sea bream).